It is time to say farewell. Thank you for being a travelling companion in 2014. This is my last letter to you. When I review my letters I notice themes of life and death, love, light and darkness and an elemental thread of the UniVerse holding the words together. Thank you for your inspiration and challenges, sending me into the wilds and keeping the faith with my pilgrimage in everyday life. I now shake the dust from my Irish shoes and greet another woman from the past. I think you both could trade stories of wrestling ideas with the powerful in your worlds. You both could join in a jig or a reel to have your feet tapping and heels clicking in time and tune. I am writing my weekly letter in 2015 to Mexican woman Sor Juana Ines de la Cruz. I am looking forward to getting to know her and sharing some of my story with her, just as I have with you. I remember Biddy, when I first met you in Ennis introduced by the redheaded Jane O’Brien and then went on my own journey of discovery to learn more about you. A reference from Yeats about you that was included in my first letter to you and he pondered: Is Eden out of time and out of space? The celestial questions of time and space are forever unfolding to be asked; and part of the reason I write, is to see where answers might be knitted together from random thoughts, scraps of conversations and inspiration from being in relationship through these letters with one like you. It has been one of those weeks on our planet where despair is legitimatised and sadness is the default emotion. What else is possible? The simplicity of #illridewithyou has been a balm to soothe the hatred of racists … creativity breaks through once again to raise us to our better selves. I started to imagine what other ways the Sydney siege could have ended and certainly more carnage would have been possible, but what else might have happened? Once upon a time there was a chocolate shop. Every day people came from all over the Big City to visit, buy a coffee, a hot chocolate or a snack to sneak under their desk. One day a madman came into the shop and forced some of the people to hold up a black flag with some words written in Arabic to the window. Passers by recognised the words as a call to prayer and stopped and knelt on the ground and prayed. Soon they were joined by hundreds of others, including people who couldn’t read the words but knew what they meant. Word spread on social media and people came from everywhere, in front of chocolate shops in cities all over the world people gathered, knelt and prayed. The madman in the shop, seeing everyone was speechless, dropped his gun to the floor and fell to his knees in prayer. Three police officers walked in, picked up the gun and walked out with the madman held between them. All over the world a single prayer of gratitude floated to heaven. The madman went to hospital, the hostages went home to loved ones, the police went back to work, chocolate shops became sanctuaries of peace throughout the world and people stopped being afraid of Arabic words calling people to prayer. In another scenario, the madman was not out on bail, he was in a forensic hospital getting treatment for his illness and never went to the chocolate shop in the first place; his wife was still alive and his children weren’t living in grief from their mother being murdered and their father being infamous. And in another scenario domestic violence was understood as terrorism at home and everyday neighbours rallied to the cries of women and children. There are so many different ways stories can unfold … in your imagination. In reality, it is the inspired action, the response to the call that keeps us in the dance. 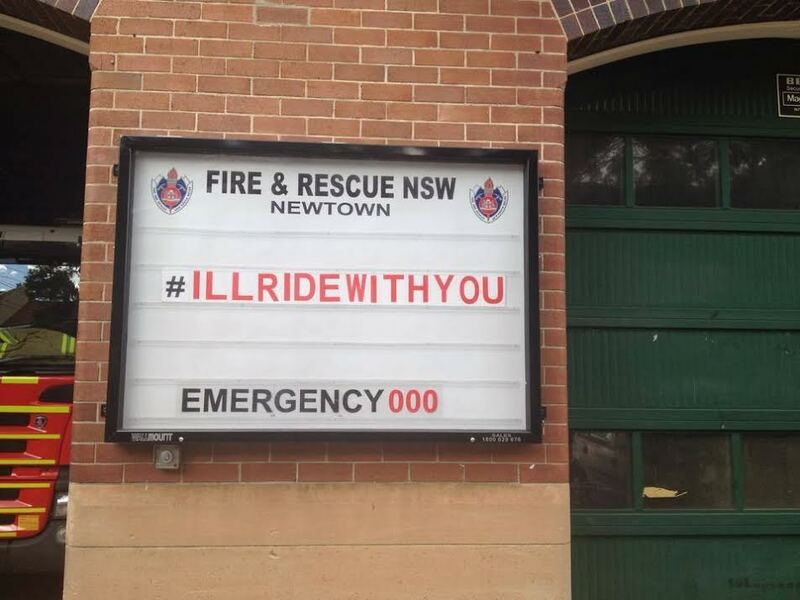 And I’ll take “illridewithyou” any day over madness and fear. Is the space between a truth and a lie shrinking? I am wondering if you had an antidote for that in your herb garden? Denial is a beautiful transitional state every human being inhabits before they are emancipated into the next larger context and orphaned, often against their will, from an old and very familiar home. from ‘DENIAL’ From CONSOLATIONS: The Solace, Nourishment and Underlying Meaning of Everyday Words. This week I am praying some of lies I’ve heard might get infected with denial so to fully enable the path of truth to find a way home. There is the lie that Australians don’t care about refugees – yet most of my friends seem to – all the while the majority of members in our Parliament voted to remove my country from the Convention we helped author a few generations ago. Surely we are better than this? There are the lies in communities and families like the one a violent man pickled by alcohol was a happy person spreading conviviality through his larrikin ways to all he met. Surely the scars, the bruises (faded and still raw), the debts, the children and the parent’s heartaches have their own truth? 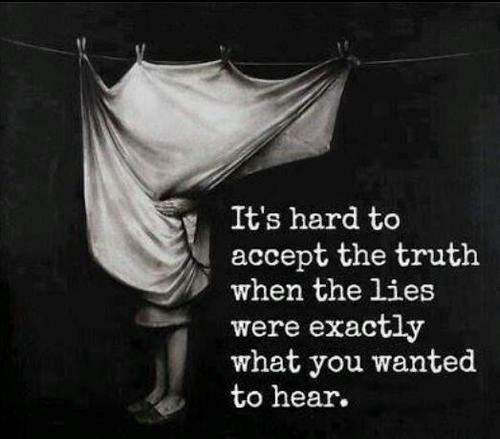 Fear of change masquerading as bravado and stubbornness is another kind of lie. This kind of lie is where fear builds up and brings a paralysis to truth – so only the lie moves around slipping and sliding unable to wrestled to the ground. Finding out the truth is hard and not where we want to be, making a labyrinth of lies will lead us back to our centre, and in that space, denial might come to lead us out into truth. If denial creeps in, truth maybe able to find a way out of the crucible holding the lie. What is that crucible made of? Fear? Pain? Anxiety? Empathy is the elixir to find our way from lies to truth and an empathic ear to denial might just release the pressure point of the fear or pain or anxiety. My country, Biddy, and me too, need a dose of empathy to get us through the lies, to open the potential for denial and then midwife us into truth. This week a man got up in the morning and went to work and never came home. He died doing what he loved best in a place that was very special to him. It was a freak workplace accident. This terrible series of events happened in more than one place on the planet. 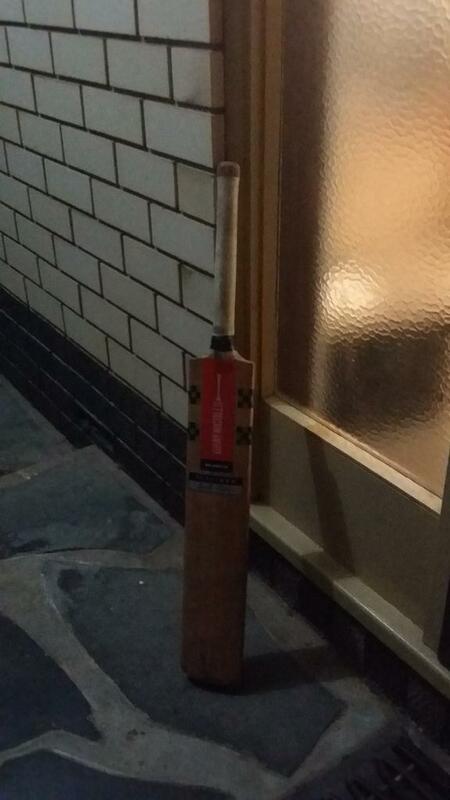 This particular case has left an international community of cricket lovers in mourning. Simple acts and rituals started to emerge as fans, friends and family worked out how to express their shock and grief. Enabled by imagination, technology, passion and deep knowledge of the game these expressions have touched me and millions of others … and reminded me of the humanity of the herd. All self-organised – no committee, no direction from authority – people authorising themselves, taking up their own power to act. The cultural power of sport and grief coming together is phenomenal. This deep, deep desire to name and claim, that which is deepest inside of us, is a universal truth. When death comes, our capacity to mourn what has gone is insatiable and sometimes surprising. We pine for one last kiss, one last hug, one last innings. We give thanks that we won’t have to bear the horror, the hurt, the violence any longer. We ache to see a smile, share a laugh, glance into eyes with no words needed. Whatever forms our mourning takes – grief comes, knocks us off our feet and may even hit us for a six. We can support those in grief, by holding their hands, wiping their brows, reminiscing, giving hugs and putting out our bats. These gestures draw us closer, without appropriating, to the sadness of those at the centre of the loss. That space is unique and intimate and can only be occupied by the one at the crease – the rest of us are in the stands. I am always on the look out (or should I say sound out?) for a good metaphor, one that translates and transcends meaning. In the course of my life, I have been a counsellor / therapist and the power of metaphor to support a new direction or bring depth and understanding to the past was a regular tool. In my improv playing metaphors can be found in the toolkit and become visible on the stage (life is like a roller coaster, bobbing up and down struggling to survive in a life boat on the ocean, flock of birds teamwork …. the list goes on). 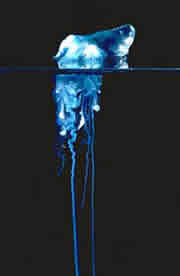 I’ve been wondering about your blue bottle as a metaphor – for here in my country a blue bottle is a lethal sea creature – a jellyfish that stings. The sting itself won’t harm you but as soon as you rub the place where you are stung, a poison is released and before you know it paralysis sets in. If you don’t touch it and wash quickly the chances of you not being poisoned are good! Surely this is a metaphor of it’s own! How often do we scratch and rub a place where were a bitten and the situation gets worse and before we know it are poisoned and even death might come to visit in one form or another? This was certainly the case with Othello, destroying his beloved Desdamona, having his insecurities and fears fed by his trusted lieutenant Igao. I saw this play yesterday, Biddy, and I expect some came to see you to find ways for their fears to be fed too, I hope your blue bottle offered an antidote. The seeds of doubt sewn by Iago, could be sown because Othello’s mind was fertile ready to receive the evil thoughts, slander and anxieties to take hold. What is it in a person that the trust founded on love can be so easily eroded? Power and control corrupt and mutually assured destruction often follows closely behind. We see this in all kinds of relationships – between families this turns into feuds, between nations into war and between friends and lovers hatred and divorce. When we love, we want the best for the other, when we get seduced by our fears and anxieties we rub the sting and there is the terrible potential to release poison, become paralysed and, at its very worst, experience a kind of death. Being eaten up by our own fears and being susceptible to poisonous barbs does need an antidote; for myself, I prefer inoculation. I inoculate myself, as best I can, by recognising and celebrating with gratitude the little acts of trust each day – each perhaps like a sip from your blue bottle – keeping me strong. I trust the other drivers will stop at the red light so I can go through on the green; I trust the cook to use fresh ingredients, I am trusted with news to share and not to share; I trust there will be a kindness when I call a friend; I trust I will be paid for work done … and it goes on and on. When these little trusts are betrayed destruction follows – the car is crashed, food poisoning comes, disloyalty reigns, debtors arrive … and it goes on and on. Desdamona maybe pure and white; Cassio loyal and faithful to Othello’s dark, broody soul; but it is our shadow, the cunning and deceitful, Iago, who we must keep at bay. Iagos are abundant in those politician’s trading on fear, lies, deception, telling tales of what is not true – what innocent child fleeing a war zone is a terrorist, a brigand, an illegal? Iagos are fuelling fears and doubts and too many of us are eager to be seduced. Another Shakespearean metaphor handed to us from the early 1600s standing the test of time. There has been a lot of talk about “shirt fronting” lately, a new word entered into the diplomatic lexicon by the Prime Minister of my country. World leaders gathering in one of our northern tropical cities, pondering planetary issues and testing alignment of ideas, values and economic trade to guarantee futures for the citizens in their countries. A complex set of conversations on a grand scale. I wonder what their sooth sayers might offer them? Would your blue bottle contents have helped ameliorate overdoses in testosterone? Is there an antidote? World leaders are not the only ones with toxic testosterone; there are liberal doses all around me. Generous hugs from big men who don’t know when to shut up, air space occupied by male voices, a contest of ideas being little more than ‘my train is bigger than your train” are all around me. I wonder Biddy how your presence offered an alternative narrative and the elemental nature of the Celtic spirit brought the feminine to life? 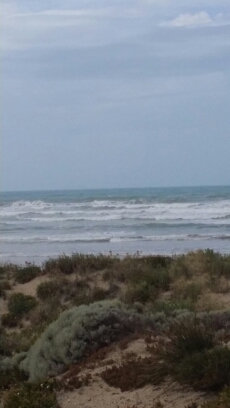 The sea is rolling in and the wild winds are adding the treble to the bass line while the higher notes of nature and melodies are a mix of staccato and triplets. The elements have all the balance I need to remind me there are times when storms come and times when the sun shines. And always there is the constant in and out of the waves, moderated by sister moon in how they come in and out. I want to be moderated by this gravity, and be healed and have my planet healed by this in and out, yet I find myself infected by the testosterone. I hear my language infused with violent metaphors, I watch myself regaling against the tide not going with the flow, hiding behind clouds unwilling to come clean and to let the sunshine in some days … my own set of shirt fronting behaviours. While the moon casts its fullest shadow of the Vale last night I listened to the haunting and delicate music created by the harp and voice. Some of the tunes would have been familiar to your ears as well, perhaps first heard on Faha Ridge in County Clare. The lilt and air created in the spaces between the breaths and the plucking are as full of life to me as the sounds themselves bringing to my awareness your blessed land and taking me back in time and in place. I check myself for self indulgent nostalgia and decline the offer of my ego to accept that is what I am falling into – it is not a descent but a rising to the horizon and longing for a homeland that is embedded in my DNA and that I carry with me. I don’t run towards it or away from it. The sounds call me to a deeper part of myself and connect me to those roots. Nostalgia is a Greek compound, consisting of νόστος (nóstos), meaning “homecoming”, a Homeric word, and ἄλγος (álgos), meaning “pain, ache”, and was coined by a 17th-century medical student to describe the anxieties displayed by Swiss mercenaries fighting away from home. There are many aches and pains in life that call me home to myself, to remind me who I am and where I am from. Some of the aches benefit from a good stretch, some healing hands or medical intervention – both physically and metaphorically! A stretch to remind myself what is still body memory of what I am able to do and pass on to the next generation. Invited to share some of my skills and knowledge this week with a new generation, I was called back to fundamentals and in turn the next generation called me home to myself and my passion for change and my first calling. While I was teaching this batch of students a nation was farewelling a past Prime Minister (E.G. Whitlam) who oversaw the greatest social reforms in my life time – no fault divorce, land rights, equal pay, ending conscription, creating arts funding … and the list goes on. 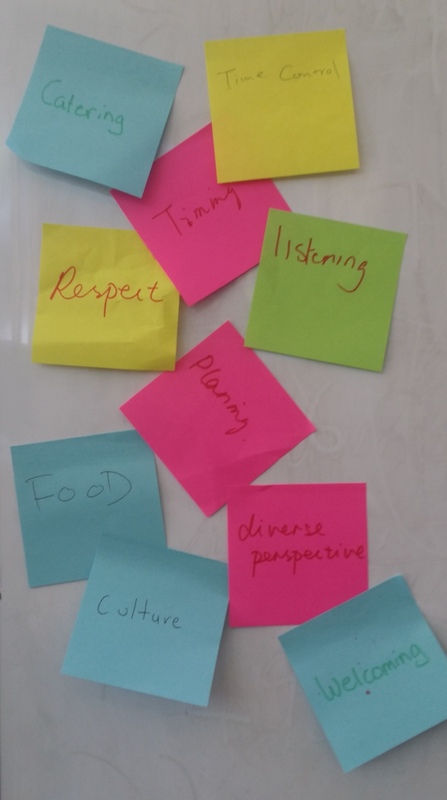 The lessons of inclusion, respect, listening and celebrating diversity were echoed in an exercise I invited the students into and a little ripple in our room in a community centre that began its life due to those very same reforms was not lost on me. His wife (Margaret Whitlam) was a social worker and found that a comforting thread over the years as I live out my vocation. The evocative strains in the songs and stories shared during an old man’s memorial service called me home to my values and passions. It was also a dreadful reminder of how fragile change can be and a call to action confident in the knowledge that reform trumps management (Noel Pearson: Whitlam eulogy). Nostalgia dipped in seduction leads to impotence. A homecoming ache is fuel for reform. When I lift the parting glass I will have spent my time in good company and with comrades and I trust that was true for you too dear Biddy. The seasonal changes are the epitome of the life and death cycle and my quest to live more in sync with the seasons emotionally and spiritually helps this pilgrim walk more in step with the UniVerse. Halloween – All Saints – All Souls – is here and even though the hemisphere I am in doesn’t have many rituals to go with this seasonal change, it is part of my heritage to mark this transition. I am grateful that celtic spirit seems to be in my DNA and my knowledge of the classics reminds me Persephone (Proserpina) and Demeter (Ceres) bring the spring. So there is an alignment of sorts at this time where I live and all the colours of the rainbow bloom in my garden. Maybe I will have a ritual glass of Ceres to mark the occasion? I am sure you would have raised a glass Biddy! So it was, trying to be in step this week, I found myself driving past the hospital my father died in – the last place he drew breath. I stopped off, went into the café, bought a drink and sat in the sun in the courtyard. I have done this a few times in the past years and I felt his absence deeply last year when he was not there for the first wedding in the next generation of my family at this same time (as regular readers may recall). As I left the hospital to continue on my journey for the day, the trees next to where I had parked erupted in song and circled ahead and flew high into the sky – a hundred fold of blessings rising into the clouds. I had a lump in my throat, a few tears trickled into the sunlight. It had been a spontaneous action to stop by and while I had done it before, never in this season. I found myself humming the tune of Turn, Turn, Turn – the words of Solomon in Ecclesiastes put into song for my generation. Another season brings an another time and the seasons do help me – in reality and metaphorically – work out what time it actually is and no one time is mutually exclusive to another – they are co-exist is splendid harmony (not unison). I’ve notice a lot of ticking off life’s actions as if they are items on a business agenda – the bucket list phenomena is being the worst offender for me. Savouring the moment, in the moment and enjoying anticipation, holding on to the present, not just ticking it off a list seems to be in short supply around me. Moving from one agenda item to the next with every minute scheduled leaves little room to relish simplicity and revelling in the moment. 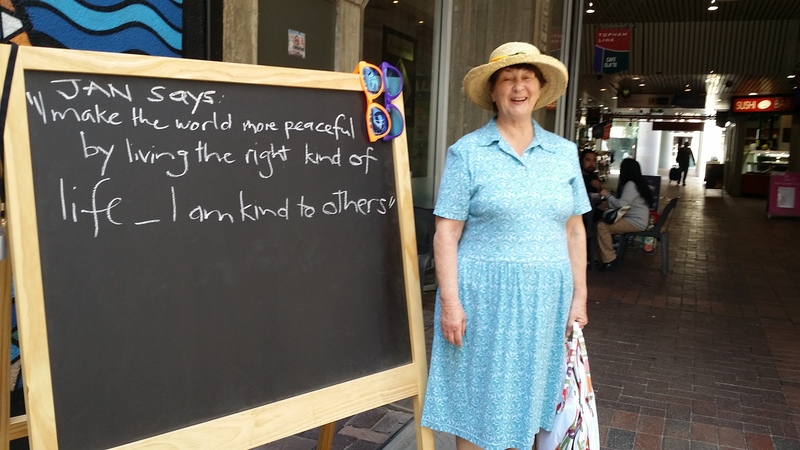 As an event during The Changemakers Festival this week, I was part of a little community engagement pop up action this week asking passers by to tell us how they are being the change they want in the world. Those who stopped by were thoughtful and challenged by the question – how are you being the change you want to be in the world. Overwhelmingly people told us the simple things – being kind, smiling, looking after their family, being a friend. These are not items to be ticked off on a list: there I’ve smiled today (tick) changed the world today (tick) – they are ongoing consistently applied actions – they are a practice – they endure and have to happen over and over again. In fact, they can’t be done just once and ticked off so you can move on. The people who stopped by reflected thoughtfully and carefully. They were challenged by the question and showed their pride and commitment by being willing to put their name to their comments and most took a further step by having their photo taken with it as well. My guess is Biddy you were the change you wanted to see in the world. Your offerings of a listening ear, healing and hope would have sent many a traveller on in better shape than they arrived. Those who passed by our chalkboard and took the time to stop by, all left brighter with a spring in their step – affirmed for their individual giftedness and being part of something bigger than themselves – and what could be better than changing the world by being that change! Jan – Be the Change #!